The head of Iran’s Department of Environment said that the state of the environment “had turned critical during the 40 year rule of the Islamic Republic”. “The pollution in large cities, the unfavorable condition of forests and low energy productivity are among the problems that exist in the country in terms of the environment,” Isa Kalantari said. “The Caspian Hyrcanian mixed forests in the Republic of Azerbaijan, close to Astara, which were 6 to 7 million hectares have shrunk to 1.5 million hectares,” the environment official who is also the Vice President of Iran added. “Due to soil erosion and air pollution in major cities we now face many environmental problems. We have dried the wetlands and precipitation has decreased 15 percent,” Kalantari said in comments carried by the ILNA state-run news agency. Iran’s Vice President also said that the country’s bodies of water were also shrinking. “Whether in the south or in the north, we are witnessing the destruction of the coasts. All the rivers that enter the sea in the north are dead. These rivers have died due to waste and sewage that have entered them,” he said. 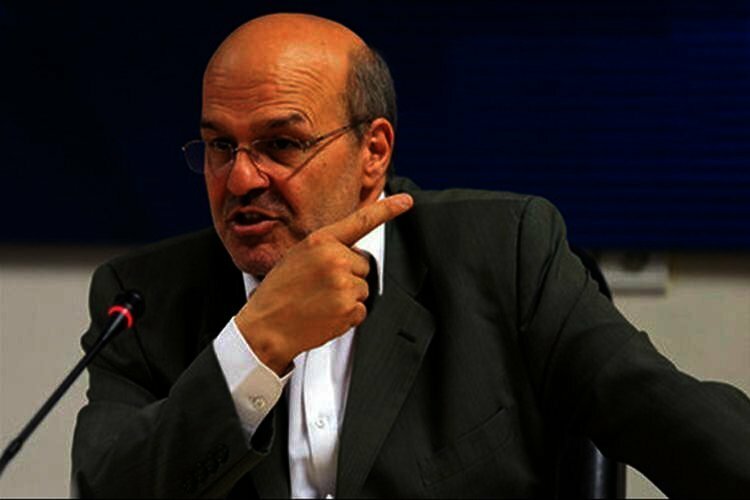 Kalantari said that the regime failed to take action to improve Iran’s environment. “We talk a lot, write lots of articles, but in practice we do nothing,” he said. According to the Head of Iran’s Ministry of Health and Medical Education, the prevalence of a number of diseases in Iran were linked to environmental issues and had raised healthcare costs. “Factors such as high blood pressure, cardiovascular diseases, cancer, road accidents and factors affecting environmental degradation in the health field have greatly increased healthcare costs,” Saied Namaki said. “Our wetlands have dried out, the dust has become suffocating, and the pollutants contaminate food,” he said. Previously, a member of Iran’s Environment and Natural Resources Network Coordination Council, had said that half of Iran’s northern forests had been razed during the 40 year rule of the Islamic Republic Iran. “According to the data of The Natural Resources and Forestry Organization, during the past 40 years, the area of the northern forests has gone from 3,600,000 to 1,800,000 hectares,” Massoud Molana said in late October 2018. The parliament’s representative in the northwest city of Mahabad also recently warned about an increase in the deforestation of Iran’s western regions and Iran’s wood trafficking crisis. The Islamic Republic has wreaked an environmental devastation, causing irreparable damage as a result of years of mismanagement and pillaging.